This is a terrific wooden vehicle set! The big red 14 in. 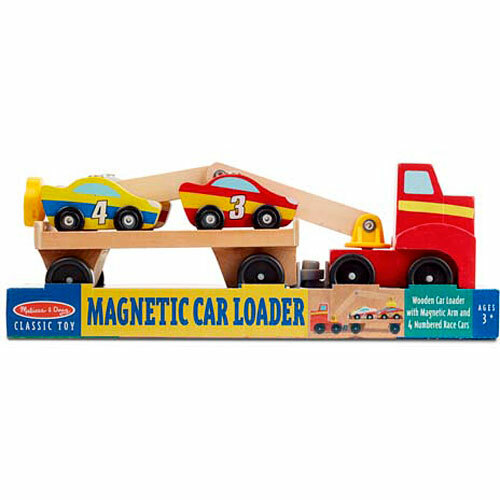 rig easily hauls the sturdy car-carrier trailer. 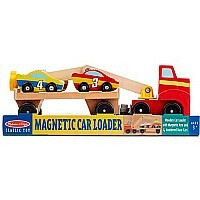 Kids will love to manipulate its articulated magnetic arm to find the magnets inside each of 4 cool little wooden cars. Limited time offer- 50% off when you purchase the Round the Race Track Rug! (#9401). 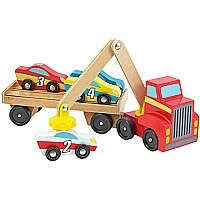 From Melissa & Doug, for ages 3-6 yrs.